Most Canadian drivers know how to prepare their car or truck for winter, but far fewer give the transition from winter back into spring the attention it deserves. Here’s a simple list to follow that will help ensure the vehicle you depend on has a chance to shake off the effects of winter. Nobody likes the look of winter tires, so the first order of business is to take off those ugly winter tire/wheel combinations and re-install the alloy wheels and summer treads that make your vehicle look great. Remember: do not leave your winter tires on once the snow melts. Winter tires are designed specifically for cold conditions and driving them over 10 degrees is a huge waste of money because you’ll wear off the treads at a much faster rate. 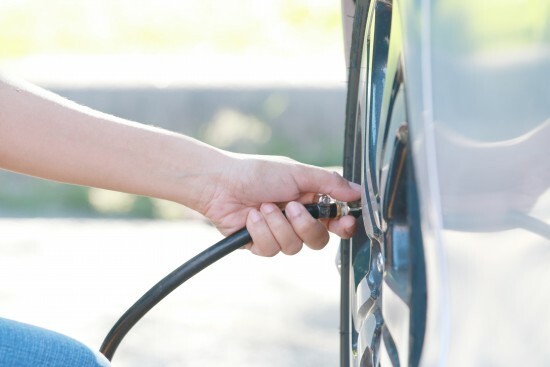 Speaking of tires, running a tire with slightly low pressure is no big deal through the winter months, but once the temperatures rise and the streets are bare again, a poorly inflated tire will compromise your vehicle’s handling, stopping performance and most importantly, it can dramatically hurt your fuel mileage. After a long and punishing winter, few things feel as satisfying as giving your vehicle a really good exterior clean. If you wash your vehicle yourself, use proper automotive soap (dish soap has abrasives in it) and a good-quality wash mitt. Take the time to closely inspect your vehicle for chips and scratches so that you can get those repaired with some touch-up paint before exposing them to salt and road debris of next winter. If you decide to use an automated carwash, find the “touchless” variety without the beater brushes and wheel channels. Beater brushes are incredibly hard on painted surfaces and those wheel channels that keep your vehicle straight as you roll through the carwash are infamous for scratching wheels. Have you ever paid for a professional interior clean and detail? The spring cleanup period is the perfect time to treat yourself, because cleaning out all the salt and debris from winter is tough work and well worth the cost to have a pro do it for you. You’ll feel like you’re driving a new vehicle again and you’ll be in great shape to keep your interior clean for the rest of the season. How’s Your Battery Holding Up? After a harsh Canadian winter, it’s a good idea to make sure that your car battery is still running strongly. Car batteries are especially susceptible to cold weather and a harsh winter like we just experienced can weaken a battery significantly. Wiper blades are often damaged by ice and salty road debris, so now’s the time to replace them. And while you’re at it, top up the washer fluid and check that all of the lights on your vehicle are working properly as well. One of the more significant possible issues is your vehicle’s alignment. If you happened to hit a particularly nasty pothole or slid into a curb during slippery conditions, then your alignment may now be out of whack. Is your car pulling to the left or right when you drive? Is there rapid or uneven wear on your tires? Is your steering wheel crooked when driving straight? If you answered yes to any of these – then, it’s time for an alignment! If you’d like some help getting ready for spring, speak to one of our helpful advisors about addressing any of the above issues. New and Used Nissan Cars, Trucks, SUVs in Calgary, Alberta. Buy a New or Used Nissan today!